Beverly Rowland Obituary - Newport, Arkansas | Jackson's Funeral Homes Inc. This Book of Memories memorial website is designed to be a permanent tribute paying tribute to the life and memory of Beverly Rowland. It allows family and friends a place to re-visit, interact with each other, share and enhance this tribute for future generations. We are both pleased and proud to provide the Book of Memories to the families of our community. 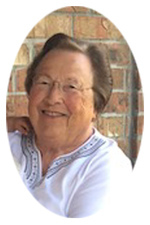 Mrs. Beverly Sue Rowland departed this life on Thursday, January 3, 2019, at the age of 77. She was born at home in the Pennington Community on October 25, 1941, the second child of Fletcher and Myrtle Mae (Lowery) Tate. Beverly married L. W. “Dub” Rowland on October 23, 1959. Together they spent 59 years being totally devoted to each other. Grandchildren, great grandchildren, and family were at the center of their life together. First and foremost, Beverly worked a life time as a home maker, but also as a store clerk for Ideal Bread for 25 years. She was an extraordinary good cook and well known for her tamales and dill pickles within the community. Beverly loved life in the outdoors. She was always ready for some backwoods camping or a fishing trip. Flower and vegetable gardening was a passion for her. She enjoyed canning the fruits of her garden, especially anything that would be enjoyed by her family and friends. Having been an All State high school basketball player, she loved any sport. Any team that had family playing was always her favorite. Both Beverly and Dub spent countless hours regardless the sacrifice following their son from little league through college; but their joy doubled as they began watching their two granddaughters excel in fast pitch softball. They never missed a game, no matter the distance. She and Dub were devoted members of the Church of Christ. While living in Newport they were members of the Remmel Church of Christ and become members of the Vilonia Church of Christ after moving there 2017. Beverly will be missed by so many, but none more than her husband, son and daughter in law, grandchildren and great-grandchildren. She will forever be remembered for her strong work ethic, sound advice, sense of humor, and love shown to her entire family. Her devotion to her extended family was second to none, she was like a second mother to many and considered it to be a joy. She is preceded in death by her parents, Fletcher and Myrtle Tate; in laws Gatlin and Leotia Rowland; brothers, Byron and Billy Tate; sister in laws, Diane Tate and Arlene Coleman; brother in laws, Charles Bailey, Tommy Coleman, and Dale Rowland. She is survived by her husband, L. W. “Dub” Rowland of the home; son, Blake Rowland and wife, Lisa, of Vilonia; two granddaughters, Savannah Summers and husband, Josh, of Vilonia and Lauren Crisp and husband, Cordell, of Conway; two great grandchildren, Ellie Kate Summers of Vilonia and Gatlin Weston Crisp of Conway; one sister, Teena Patty and husband, Gene, of Mayfield, Kentucky; two sisters in laws, Daisy Bailey Price of St. Charles, Missouri; and Angela Tate of Newport; a host of very special nieces and nephews, other loving family members, and a lifetime of friends. Friends may visit at the funeral home, Monday, January 7, 2019, from 6:00 p.m. to 8:00 p.m. Funeral services will be held 10:00 a.m. Tuesday, January 8, 2019, at Jackson’s Funeral Home Chapel. Interment will follow in Kyler Cemetery at Batesville. Those honored to serve as pallbearers are Travis McElrath, Jake Patty, Kevin Tate, Kannon Tate, Sam Cunningham, William Tate, Burl Tate, Josh Summers, Cordell Crisp, and Ricky Rowland. Honorary pallbearers are Jimmy Phillips, Gary Harp, Wayne Davis, David Bowen, David Koone, Jeff Gray, and Patrick Fay.